You’ll think about efficient air circulation in new ways after installing the CBX27UH in your home. Its direct drive blower motor provides high efficiency and great performance. Paired with an optional electric heat function could provide supplemental heat, as well. The equipment can be used with your outdoor heat pump or AC to keep your home the right temperature and control humidity levels – all without producing expensive utility bills. 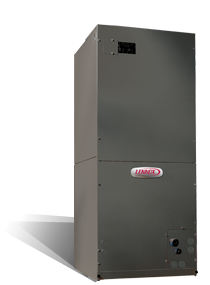 High efficiency evaporator coil offers outstanding heat transfer and efficiency. Direct drive blower motor delivers efficient heating and cooling for improved performance. Fully insulated cabinet – for reduced operating sounds. Optional electric heat adds supplemental heat, offering you more comfort. Antimicrobial drain pan includes an antimicrobial agent to guard against mold and mildew growth and is built with a durable compost material that does not rust. Durable steel cabinet is made to last with a high-quality textured-paint finish. Up-flow/horizontal orientation with down-flow optional – for installation flexibility. Ready to find out how the CBX27UH Air Conditioner can make your home more comfortable year round? Need help with a gas furnace repair or want to schedule a gas furnace maintenance visit? We can handle it all. Our staff is trained, experienced and ready to help. Make an appointment or call 740-594-8381 for Athens or 740-654-4328 for Lancaster now.